Dolores Umbridge. Now in charge of speed limit policy. Speeding fines handed out by courts are hitting a new high. In 2013, nearly 115,000 drivers waited while a magistrate looked down, wagged a reproving finger and dished out an average £169 fine and three points. In 2012, failing to match the number on the stick to the number on the dial accounted for 56% of the 730,000 fixed penalty notices drivers received – and cameras provided the evidence for 84% of them. If you haven’t had a speeding fine yet, your odds of picking one up are shortening daily. The press today says it’s all the fault of new, digital cameras. Sure, they won’t make things any easier for drivers – but the real problem is Department for Transport-imposed, artificially lower speed limits. And you probably didn’t even notice. Unless you spend your time poring over the intricacies of Department for Transport Circulars, you won’t have spotted one snappily entitled Department for Transport Circular 01/2013 crawling into the light of day in January 2013. It changed the way drivers and riders use the UK’s roads for ever. And it’s opened the door to a massive increase in speeding prosecutions. In fact, it criminalised hundreds of thousands of previously safe, law-abiding drivers at a stroke. 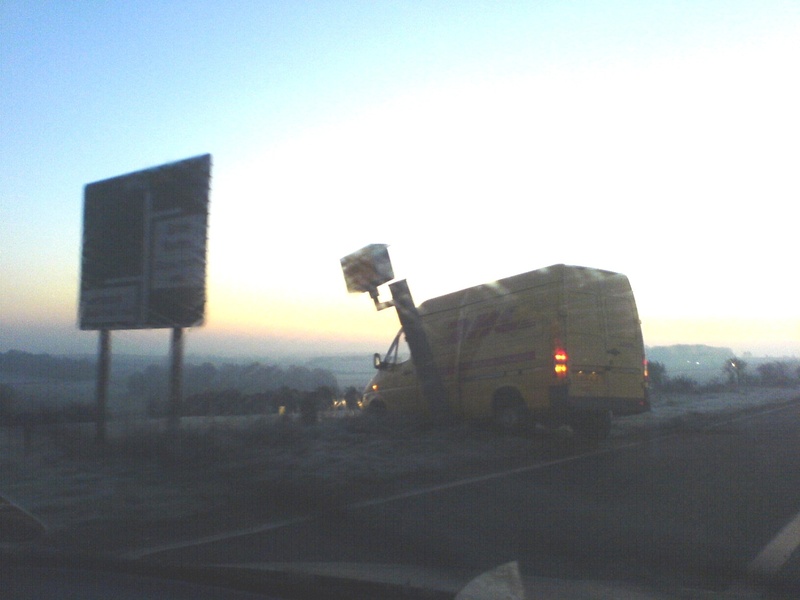 Speed cameras save lives. Apparently. 35. Mean speed and 85th percentile speed (the speed at or below which 85% of vehicles are travelling) are the most commonly used measures of actual traffic speed. Traffic authorities should continue to routinely collect and assess both, but mean speeds should be used as the basis for determining local speed limits. Speed limits used to be set by measuring the natural speed of traffic along a given road in free-flowing conditions. You then assumed that 15% of the drivers were going too fast and set the limit at the 85th percentile. Limits were designed to reflect the idea that most drivers were responsible – otherwise why let them have licences in the first place? The majority drove around the limit speed because, in effect, the majority set it. Circular 01/13 put an end to all that. And, in fact, even The Association of Chief Police Officers (ACPO) advised against it. It made limits so artificially low that nearly every road where the new limits have been applied feels too slow – like the limit is a mistake. Drivers lose attention, drift off into reverie and cease being engaged with driving. Failing that, they look for the first available overtake, tailgate the limit-limpet in front of them and lose their sense in a red mist of frustration overtakes. That means – for most drivers – they now need to spend an excessive amount of concentration simply on limit compliance. “Well, if they don’t speed, they won’t get a ticket, will they?” tut the prigs. But when compliance and safety move so far apart, the limits become risible. Today, sticking to the limit doesn’t make you safe, it makes you an oddity. When I comply, I’m tailgated, flashed, hooted, overtaken on bends and with oncoming traffic. More damaging; the better driver you are, the more the new limits punish you. If you’re used to observing well ahead, planning your drive or ride and anticipating the actions of other road users, you might as well not bother. You’ll spend more time thinking about what you cook for supper than the road ahead. They’re so artificially low that you could climb into the back seat, have a quick snooze, make a coffee and still be back in time to brake for any unexpected hazards. As a consequence, drivers and riders are losing respect for limits. As they rollercoaster on a single road from 20 to 30 to 40 to 30 to 20 to 40 to 50 to (briefly) 60 and back to 30, they’re driving by a blizzard of numbers, up and down like an MP’s expenses claim. It’s like paint by numbers; a bad facsimile of the real thing. But very, very much more dangerous. ← Well, it’s certainly an Apple, but is it a watch? Absolutely fine, Martin – delighted. Dolores Umbridge maybe – “The Thick Of It” comes to mind too. This nonsense has been around since at least 2006, local authorities jumped on the option to set speeds by the mean even if they were not compelled to do so. Police forces would frequently object to individual limits then proceed to enforce them despite turning a blind eye to other ‘crimes’. Easy money by way of speed ‘awareness’ courses. The globally accepted scientific method for speed limit setting is by use of the 85th percentile speed. There should be few exceptions. Public policy on traffic, parking, and the fabricated crime of “speeding” is neanderthal, corrupt, or both.